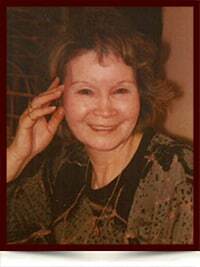 Bernadette Allard (Auger) - Edmonton's Burial & Cremation Professionals | Trinity Funeral Home Ltd.
Born in Desmarais Alberta, our loving mother Bernadette passed away gently at the age of 84 years. She was pre-deceased by her husband, Emilien, her parents Eustasis and Christy Auger, and by her 9 older sisters and 2 brothers. She’s leaves 2 daughters, Beverly and Josette (Greg) and 2 sons, Emil and Real, to lovingly remember and cherish her. Her memory will also remain strong in the hearts of her daughter-in-laws, Tami and Rita, and in the grandchildren she showered her love on – Chelsea, Christopher, Marcel, Robin, Jordyn, Kristy and Jesse. Bernadette’s ashes will be placed alongside her husband and family at a private family service in future. A Celebration of her Life will be held at St. Edmunds Parish (13120 116th Street) Edmonton, Alberta on November 6th at 1:00pm. To all the family, deepest sympathy from Victoria and Evelyn. So sorry we will not be able to be part of the celebration of Bernadette’s life. All our love and prayers go out to you.